Li Zishu was born in 1971 in Ipoh, Malaysia. Her short stories, written in Chinese, have been published in several collections, and she is the author of one novel, An Age of Farewell, published in 2010. 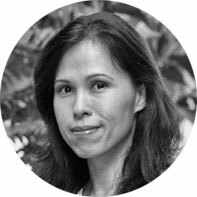 She is the recipient of multiple Huazhong Literary Awards for Malaysian Chinese fiction, as well as numerous other prizes throughout the Chinese-speaking world.